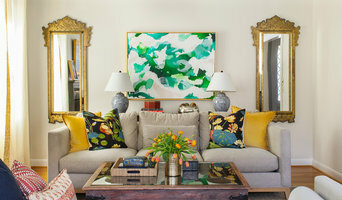 Meghan Shadrick Interiors is a full service design firm with e-design technology. We specialize in transitional interiors that serve the needs of each client. Contact us today for your design needs! Whether is is a design consultation for a room refresh, project management for a full renovation, or staging your home to get top dollar, we can build the space you want to be in. I started Leslie Saul & Associates on December 21, 1992. It may be a gift or a curse, but I can walk into a space and see the possibilities and can visualize the completed project. Once I listen to the clients talk about their wants, needs, challenges and look at images of things they like and don’t like, this vision of what the space can be, comes into sharper focus. LS&A is providing architecture and interiors for people who work, play, age, live and learn. We specialize in complex architectural and interior design projects. We thrive on challenging assignments in specialty areas that include renovations and new construction. For almost 25 years, we have designed projects large and small for clients large and small. “No job is too big, no design firm is too small. LS&A to the rescue!” Please call us whether your project is big or small. AbbeyK, Inc. can help you create the kind of home you've only dreamed of beautiful, comfortable, and most important, yours. How do you want your home to feel? What do you want it to look like? Interiors Etc. is a full service interior design firm, from consulting to whole home remodeling. We combine creative beauty with practicality for your home or business. Heidi Pribell focuses on combining grandeur with a bohemian flare. She puts a fresh modern twist on classic design, which gives her unique interiors a young, elegant and sophisticated appeal. Our style starts with your unique tastes. We strive, in each space, to find the fullest expression of our clients' preferences and personality. Call us to see how we can help with your next project! The JAZ team collaborates with clients to create functional, innovative interior home designs. Aimee Zaslaw takes the time to know her clients and their desires for a beautiful home. 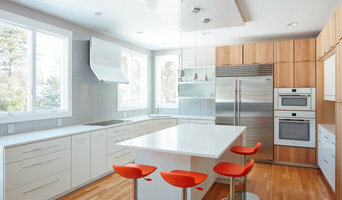 Specializing in whole home renovations including reconfiguring space, kitchen and bath redesign, unique built-ins and storage design, materials and finishes specification, custom furnishings and art.